Meet the Funding Invoice management team. 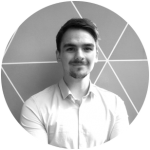 Aamar co-founded Funding Invoice after graduating from the University of Warwick in 2015. He is responsible for guiding and implementing the strategic vision of the company. Having suffered from cash flow issues in previous ventures, Aamar came up with the idea for Funding Invoice during his second year of university. 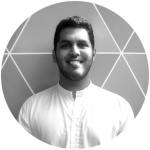 After being accepted into the Warwick Ventures Software Incubator, Aamar, in his own words, “probably spent more time on Funding Invoice than his studies” in his final year. Since then, Aamar has won numerous awards including being named by startups.co.uk as one of 20 entrepreneurs to watch aged under 25. Aamar’s passions include entrepreneurship, Arsenal Football Club, boxing, fashion and his team. Kautham co-founded Funding Invoice after meeting Aamar at university in 2012. He is responsible for the day to day operations of the business ensuring that everything in the office runs smoothly – meticulous is his middle name! Kautham has watched the company grow from just 2 young graduates to Funding Invoice being named as one of the top startups to watch on the Startups 100 list in 2017 (The longest-running index of the best new businesses!). 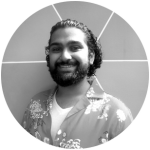 Kautham loves football (although we don’t like to admit to having two Arsenal supporters in the office) and is also an avid cricket fan. Liv was involved in the very early planning of Funding Invoice back in 2015 before she hopped across the Atlantic to complete her studies at McGill University in Montreal. 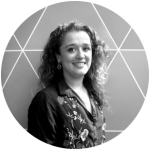 Returning to Funding Invoice in 2017, Liv developed the acquisition side of the business, targeting SMEs through digital marketing. Liv’s biggest passion has always been dance, however recently she is spending more and more time in a boxing ring after agreeing to participate in a white collar charity boxing match this year – crazy, we know! Josh is our half Spanish Yorkshireman! He met our co-founders at university and was actually living with them when Funding Invoice was conceived! After completing his Master’s in chemistry at Warwick University, Josh spent some time travelling Europe before hanging up his lab coat and jumping into the Funding Invoice world. 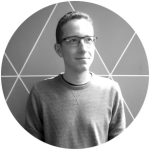 Day to day you’ll find Josh on-boarding new businesses and assisting our fantastic current clients raise the finance they need! Rob is 1 part engineering graduate, 1 part coding machine, and 8 parts fun.